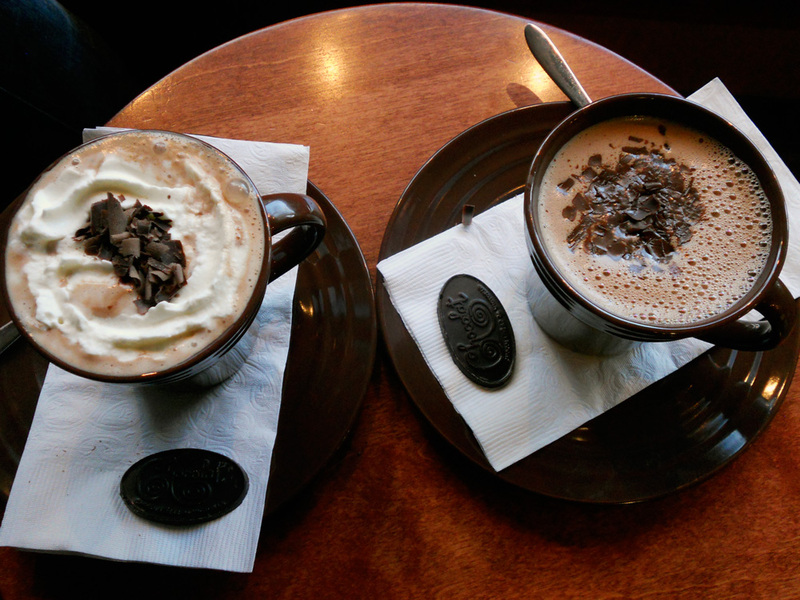 The hot chocolate search will continue, but I will be drawn back again and again to Chocolat, Chocolatiere de Victoria. It’s understandable that a chocolatiere would be the place to find exquisite hot chocolate, what’s not understandable is why I hadn’t tried it before yesterday! 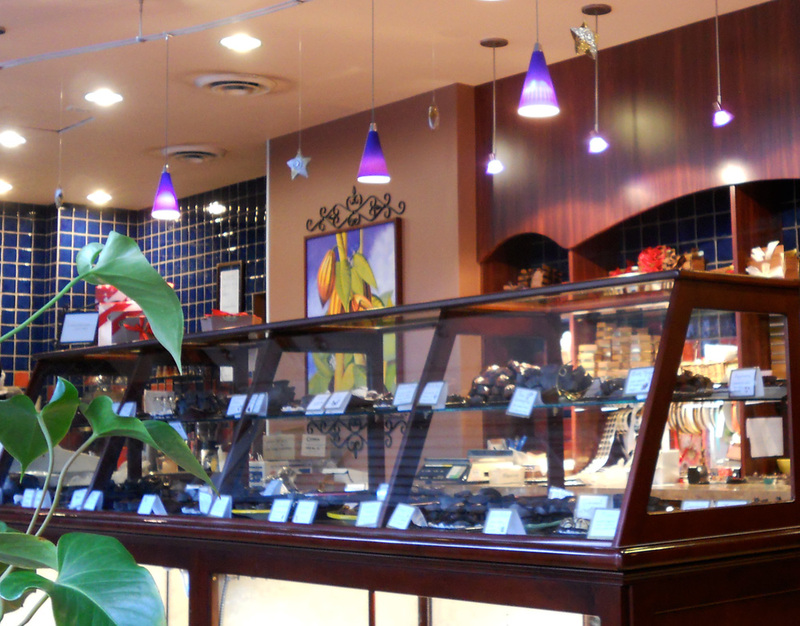 I have bought delicious chocolates there many times. It’s probably just too tempting a place to be; as we enjoyed our delicious beverages I was thinking about all the chocolates to try! There is some cozy seating in which to savour your hot chocolate (several varieties including Chili Hot Chocolate and Chocolate Chai) as well as coffees and lovely desserts. On the left, Salted Caramel Hot Chocolate, and right is a Dark Hot Chocolate without the whip.